Suzhou Lingheng Trade Co., Ltd.
Huaian Jinguan Headwear Co., Ltd.
Any Custom Color and Pantone color code available ! Design Any custom logo design and request available! OEM service and design any custom design and request to do ! We offer knitting scarf,winter hats,leggings,faucet water filter,stainless steel cups and other related products. Our products can be used in daily life and company promotion,We can provide different design as per customers' requirements. We stick to the principle of "giving our best services and best products to all customers" and the philosophy of "customer first, honesty utmost". Yiwu Shunshui Imp And Exp Co., Ltd.
2. Ensure the goods will be delivered on time. 3. Provide warm and friendly service and after-sale service. All products will be strictly quality checked in house before packing b. We have over 10 years of experience in manufacturing and selling gloves/hat/scarf and other fashion accessories. We are looking forwarder to establishing a good and long-term relationship with you in thenear future. 4.as a Manufacturer, use eco-friendly material to make products which good for your health. Qingdao Ever Fortune Industrial Co., Ltd.
Lianyungang Lixin Gloves Weaving Co., Ltd.
4. The images shown are not the actual item and are for your reference only. 6. If you have not received your shipment within 30 days from payment, please contact us. 4. We will bear all the shipping cost if the product(s) is (are) not as advertised. 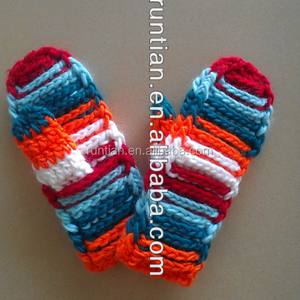 Yiwu Wells Knitting Products Co., Ltd.
Alibaba.com offers 642 fashion soft mitten products. About 34% of these are acrylic gloves & mittens, 31% are leather gloves & mittens, and 4% are other gloves & mittens. 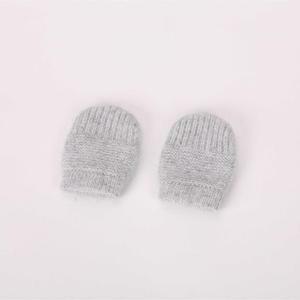 A wide variety of fashion soft mitten options are available to you, such as daily life, sports, and disposable. You can also choose from jacquard, plain, and striped. As well as from cotton, silicone, and 100% cotton. And whether fashion soft mitten is free samples, or paid samples. 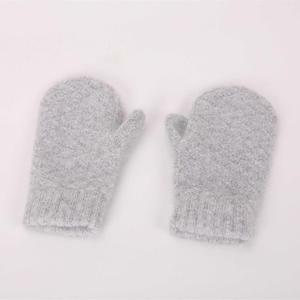 There are 644 fashion soft mitten suppliers, mainly located in Asia. The top supplying countries are China (Mainland), Pakistan, and India, which supply 97%, 1%, and 1% of fashion soft mitten respectively. 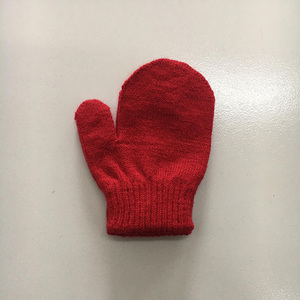 Fashion soft mitten products are most popular in North America, Western Europe, and Domestic Market. You can ensure product safety by selecting from certified suppliers, including 86 with Other, 29 with ISO9001, and 16 with BSCI certification.